My recent article about hand washing seems to have generated some interest in my lotion bar recipe. The original recipe came from a friend of mine (who deserves a whole bunch of praise for them), but I have changed the recipe just a little bit. These are awesome. There’s just no other way to describe them. They are portable lotion with almost no risk of mess. I say almost because if you leave them in a hot car, you might be sorry. It is a pretty standard lotion bar recipe, but it is the choice of ingredients that make them stand out. Best of all, unlike commercial lotions, there are no carcinogens, alcohols, or drying agents, which means that they don’t cause the dryness you are trying to cure. 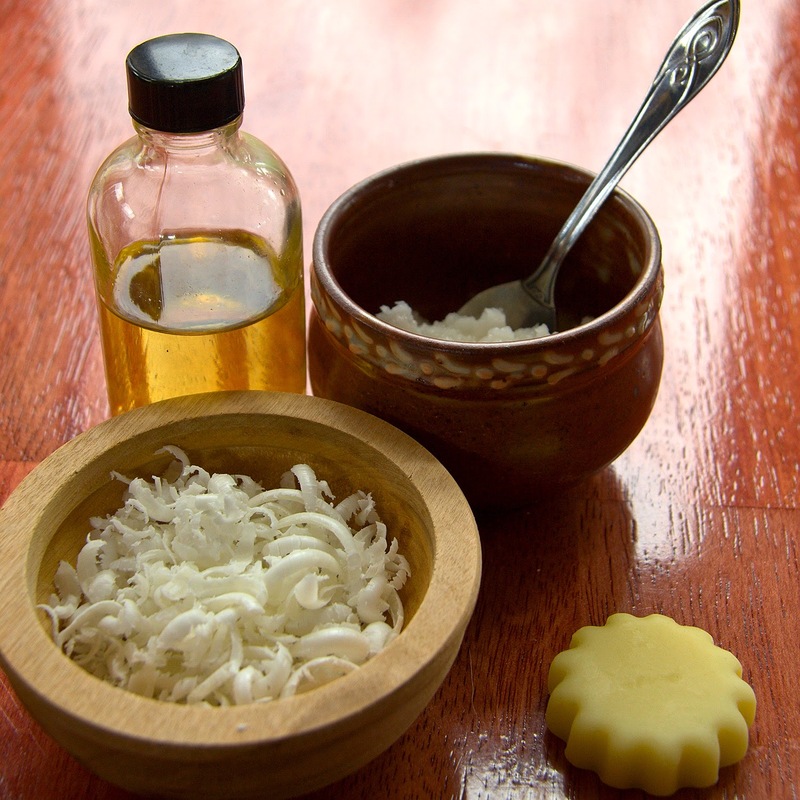 The coconut oil is a fabulous moisturizer, and provides gentle antimicrobial and antifungal properties. Jojoba oil is actually not an oil at all, but a liquid wax. It is also chemically the closest thing in nature to the natural waxy oil (called sebum) that human skin produces. This is really the best thing to use to replace the natural moisture lost by hand washing. Beeswax seals everything in, and provides a protective coating that cannot be beat. It goes on just a little sticky at first, but very quickly (within a couple of minutes) soaks in and the stickiness disappears. You can also add 5 drops of your favorite essential oil for every ounce of weight in the recipe, for fragrance. I don’t, because I make up a year’s worth at a time, and I don’t want to smell the same every day. Melt all the ingredients slowly over low heat on the stovetop. You can use a double boiler to ensure that you do not burn the wax. Once the wax is completely melted, pour the liquid into small molds, and let cool until completely set. I just make them in the evening, and leave them in the molds, on the counter, overnight. You can also put these into little individual-sized stainless steel tins, and reuse the tins once all the lotion is used up. Once they are set, remove them from the molds, and put them into a bag, jar, or container, to keep the dust off. Store them in a cool place, and they last pretty indefinitely. When you use the lotion bar, it is important to remember that a little bit goes a long way. Otherwise, you can wind up with some pretty sticky paws.